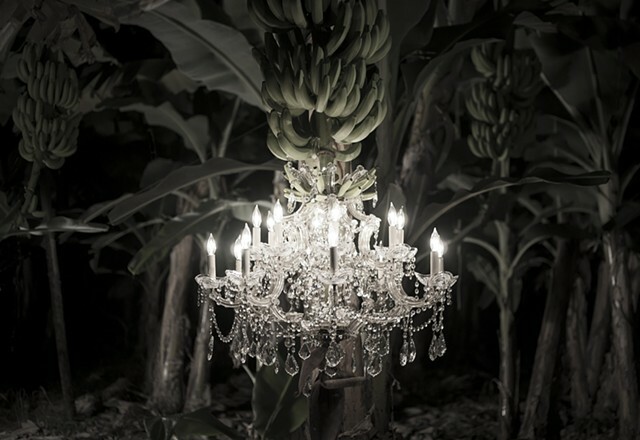 The recent body of work examines ideas of exoticism and the complicit and amnesic relationship between ornamentation and tragedy. 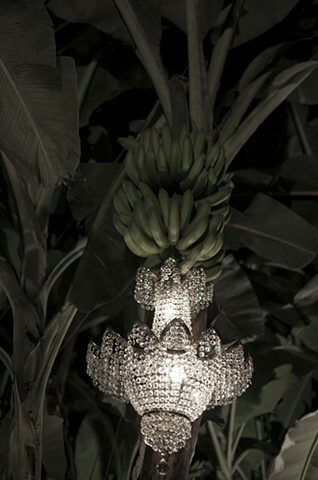 Opulent Victorian chandeliers and other elements, reminescent of a decadent colonial past, proliferate from banana bunches, alluding to a tragic and violent history associated with Banana trade worldwide. 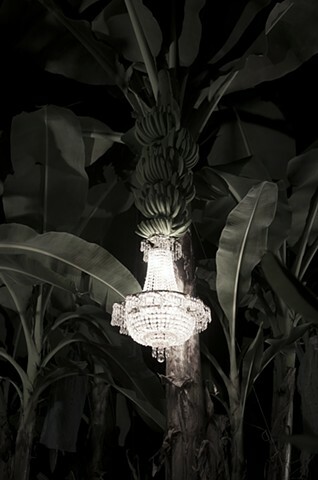 I am interested in how ornamentation with its grace and excess has the capacity to camouflage and overshadow questionable circumstances of all kind. 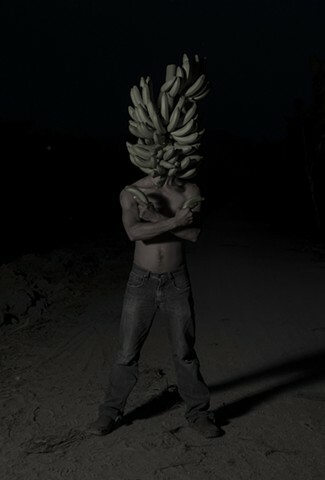 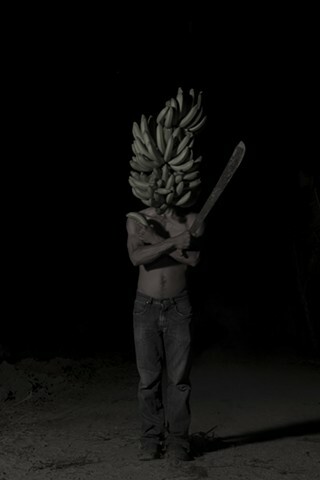 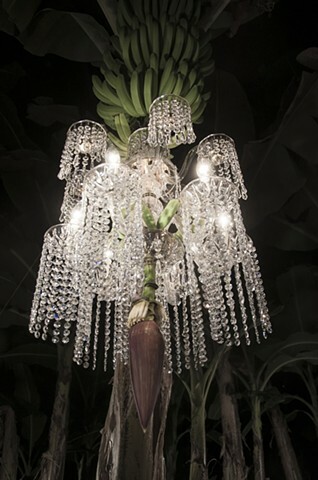 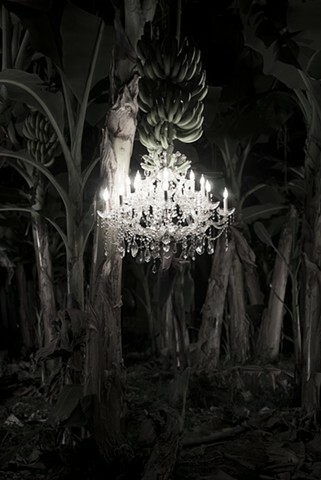 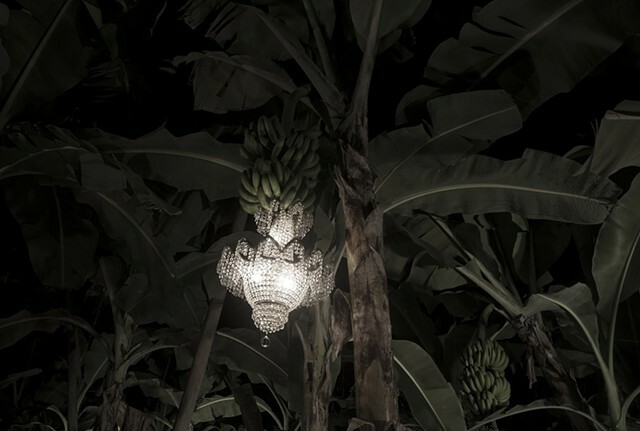 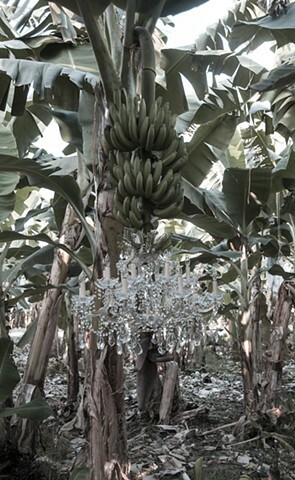 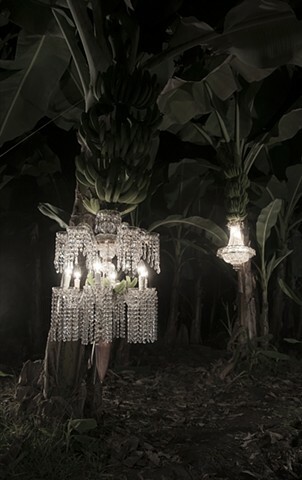 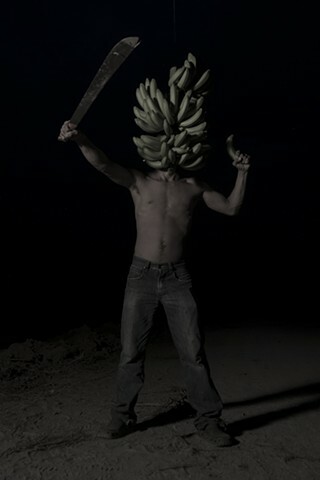 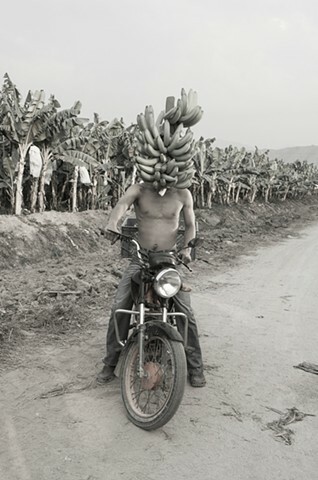 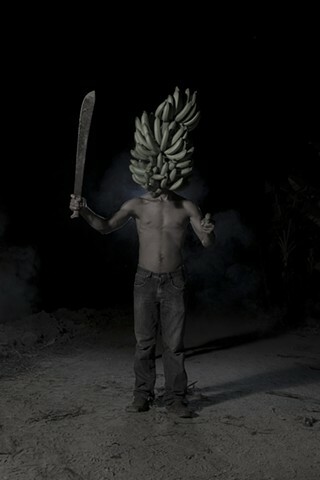 In the latest series, several victorian chandeliers were attached to banana bunches in the midst of a banana plantation, lit at night and then photographed. 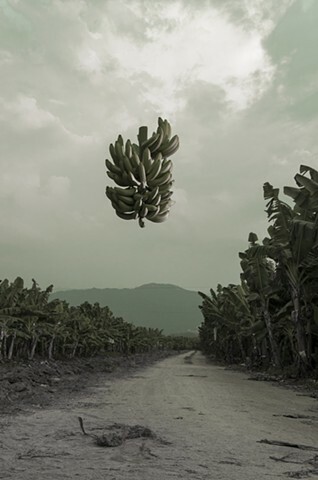 The theatricality and dramatic nature of the imagery, subordinate the contradictory into a delicate and imaginative order, evoking a certain kind of reconciliation or tense harmony between two disjointed realities. 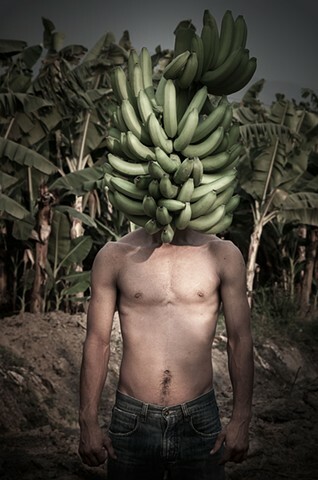 As the past, the present, the exotic and the familiar collide, absurd and fantastic panoramas arise.